In the end, the Cockatoos won the last quarter also to run out victors by 17 points. In recent times, the two teams have locked horns in some big clashes – this year’s Coupe de France and the 2016/17 grand final two prime examples – and have formed a healthy rivalry. This latest clash just adds to that competitiveness between the two teams. 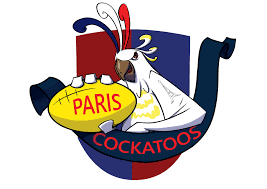 Nevertheless, the cold hard facts are that the win for the Cockatoos puts them right in the finals mix headed towards the winter break, whilst the Lions will be desperate to turn their season around next weekend in Bordeaux to stay with the frontrunners.